Recipe from Carol Hamilton, President & General Manager, L'Oreal Paris. Don’t let the holiday season be a reason for you to not eat right. 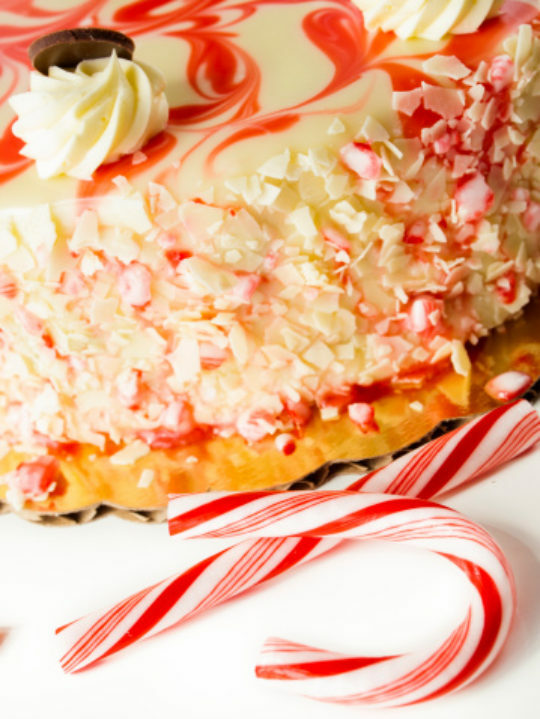 Put those candy canes to extra use with this scrumptious dessert from Canyon Ranch. Serving-sized pieces can be individually wrapped and kept frozen to give as gifts. Enjoy! Preheat the oven to 300 degrees. Spray a 9-inch springform cake pan with non-stick cooking spray. Combine the graham cracker crumbs and water in a bowl. Mix until moistened. Press into the bottom of the pan. Combine all remaining ingredients except the peppermint candies in a bowl. Beat with electric mixer until smooth. Spoon the batter into the pan on top of the crust. Sprinkle the candies around the top edge of the cheesecake. Bake in a preheated oven for 35-40 minutes, until cake is firm, but the center moves slightly when touched. Cool completely on a wire rack. Refrigerate, tightly covered, for at least 4 hours, or overnight before serving. Join us in making a positive difference in the lives of women ― today and beyond. Choose this uniquely personalized and convenient care appointment exclusively from Cleveland Clinic.